You must make reservations at least 5 minutes in advance of the time at Burke & Wills. 1 train to 79th St.
Modern Australian bistro focusing on seasonal produce featuring a menu of modern fare with an Australian twist. 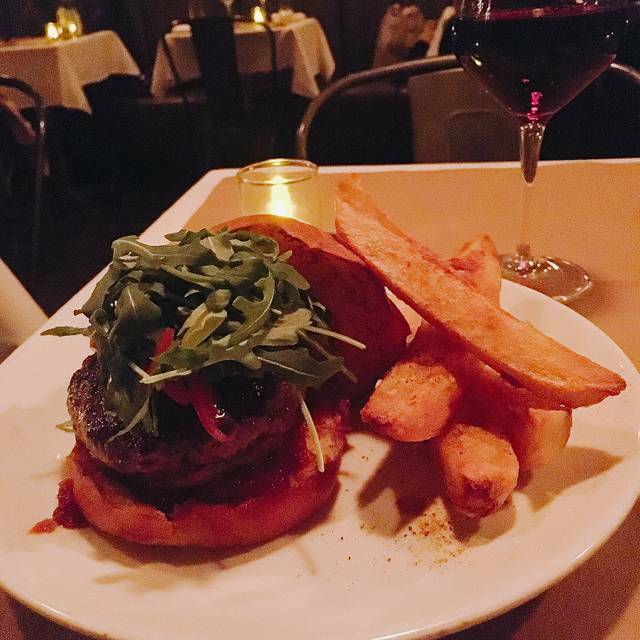 Items including creative takes on authentic dishes like a Kangaroo Burger and Australian Lamb Rack. The restaurant also features an all Australian wine list, craft beer and artisanal cocktails. Wonderful experience, excellent food and service quality! Excellent food and wine, excellent service, prices are reasonable. Extraordinary! We arrived at an early 4.30 because we were pre-theater with a 5.30 reservation. We happily ordered drinks at the long and inviting bar and they were excellent (my wine and my husband’s fancier cocktail) and then they told us that since it was happy hour (which apparently extends to 8!) we would get two more of the same drinks gratis. No complaints from us. We ordered some crab beignets to accompany them and they were excellent. I have to say that the atmosphere in this bar was so very pleasant - all ages happily mingling. When we moved down a seat so that another group could sit together, we were mightily thanked by that group and also by the fabulous bartender whose cocktail making skills verged on prestidigitation. The dining room was small and charming and the attention to all diners was wonderful. We don’t usually like to order the same entree but when we saw the soft shell crabs (maybe a recent addition because they were not on the menu when we checked online?) we just had to. Fabulous. Then off to the nearby Beacon Theater and Jerry Seinfeld! Wonderful evening! It is a GEM!!! Great restaurant and room. Cocktails are very good too. The waitress was very patient and kind and answered our dozen questions about the cocktails. We all four ordered different meals and each were extremely happy. Service was great, attentive and ambience perfect. The food was absolutely delicious. Our server Katie was personable and helpful! The food was delicious: we split the bone marrow toast and enjoyed the kangaroo burger and salmon as mains. We enjoyed the decor and ambiance (quiet, on a Wednesday). Our server Katie was very lovely! We were after this kangaroo burger so we split one. We had a great time. Such a wonderful experience! The food was so creative and the waitress could not have been friendlier. Can dress up or not for this location - definitely a blend of people. A bit pricey so maybe a special occasion restraint! Great wait staff , manager was very nice also and extremely accommodating. B&W is great little hidden gem on the Upper West Side. The food is really good and the service is terrific. Last time I was there, I had the special short ribs dish, which was very tasty. Some of the folks in my party did not like that the restaurant does not provide bread on the table (you have to pay for it). Overall, really good place worth checking out. Loved the food, the service and the ambiance. It was my 2nd time there and will now be a go to regular spot. Had a great experience! Went on a date for our anniversary. 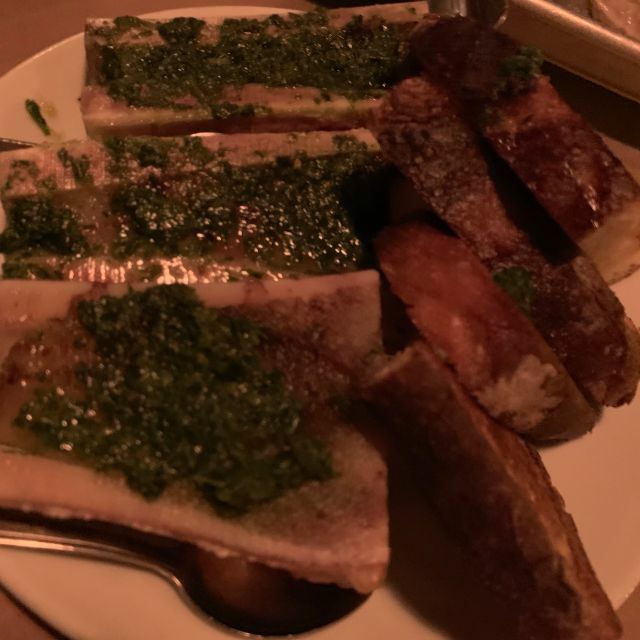 The bone marrow was delicious! We also had the chips, which are similar to steak fries. The rigatoni was very good as well. 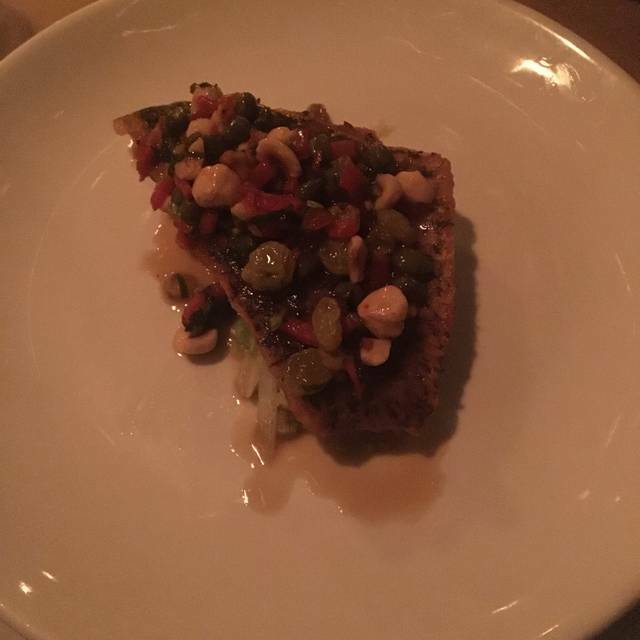 However, the bone marrow was the star. Food was delicious and unique. The drinks were also the same. The waiter gave us good recommendations. good ffod, on expensive side for what you get. lively front bar, dining room in back is small - fits abotu 35 people, can get loud dependinfg on patrons, but bar noise doesnt spill into dining room. THer is a n upstairs area too, not sure what that looks like. The food was pricier than I anticipated but it was very good. Nicely prepared food, but the service was lacking. Good food, excellent appetizers, hood drinks, nice desserts, pleasant atmosphere. Very good time had by all. Great food and ambiance was really cool. Host and waiters were a great help. I went there for the kangaroo burger during the Restaurant Week. I was satisfied of the quite ambient, good service and of course the interesting exotic meat. Huge fries and soup were good too. We loved that the Australian owner carried the Australian theme from the name all the way to the dessert. The bread pudding was divine. Good on ya, mate. Attended dinner for restaurant week. Everything we had was great. The space is cute and quaint. Smaller than expected but really nice. The drinks were inspired. The food was tasty, the fish was delicious and the dining room is charming. Loved dining here! Staff team was attentive and made the experience such a great time. Excellent food and service. Happy hour was excellent the drinks are great. Amazing! Great food and atmosphere, staff were delightful, front bar was good fun too! For restaurant week I came here for dinner with three friends. This restaurant is a good go to spot to take a group of people because their menu is the same for restaurant week. Service was ok but efficient. The glass of water I had had a lipstick stain on it so I got a new glass, server was not happy. Our server was knowledgeable but appeared annoyed due to asking a lot of questions, but came around after I ordered a mocktail and glass of Pinoy Gris. So for food, I ordered a mocktail: Paul Hogan, which was good and refreshing. 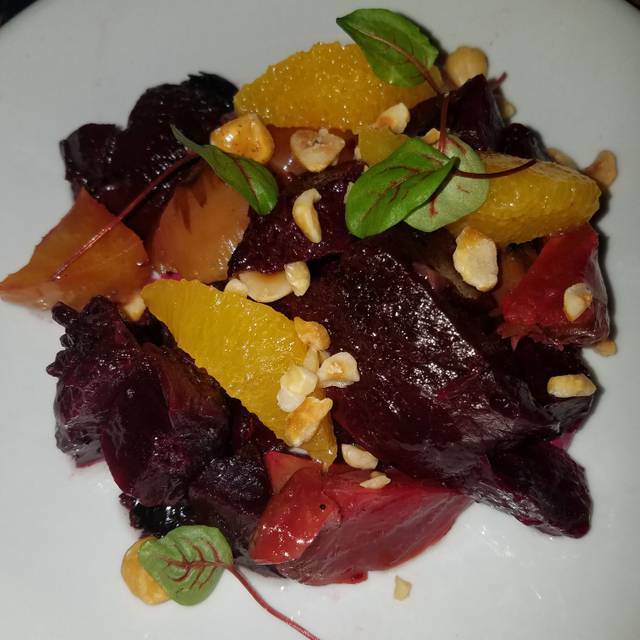 For my three course meal, I ordered the roasted beet salad. The salad was definitely colorful just as our server described and it was tasty and refreshing. Next I ordered the barramundi which was both popular and highly recommended by our server. The dish was roasted perfectly crispy and mixed with vegetables it had a great balance of flavors. 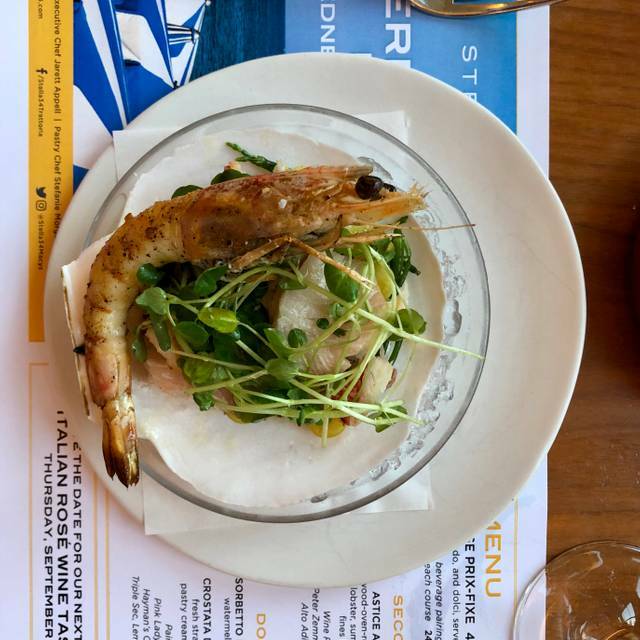 The dish compliment well with the Pinor Gris from Australia. 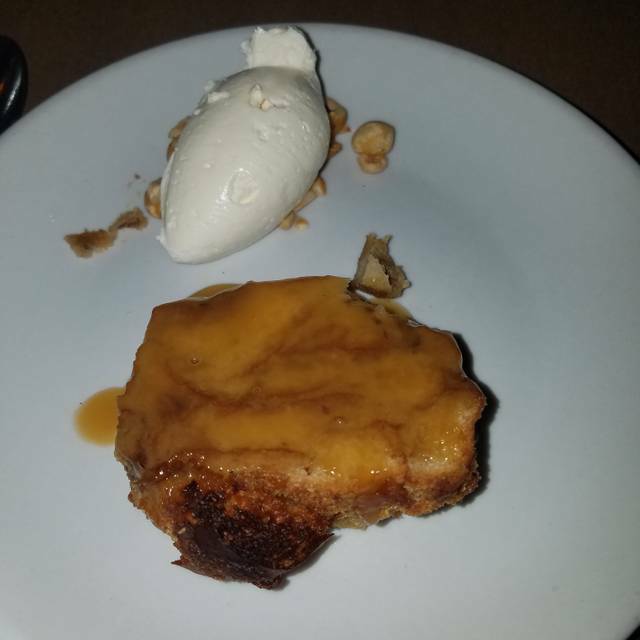 Finally for the dessert I had to have the bread pudding which was so good and a perfect end to this dessert. I would return to have brunch because the back area of the restaurant had a awesome sunroof. We went for restaurant week. I loved the ambience, feeling like you're in an old house but in a very upscale way. Wine was delicious, and everyone loved their food, but it is quite pricey for what you get. IRL Aussie noms with excellent service. I’m eager to go back. Loved the speakeasy upstairs, cozy and friendly .....creative bartender. Dining downstairs excellent and recommend kale salad and kangaroo burger...delicious. 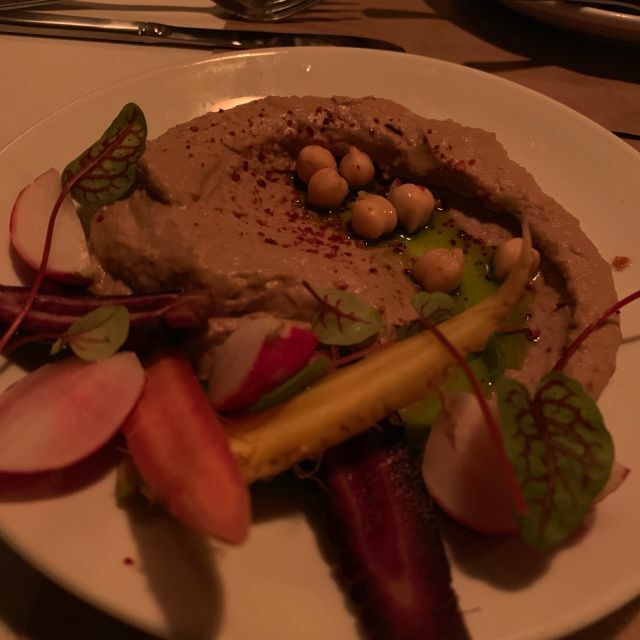 Had a great pre-Beacon Theater dinner during restaurant week. Mark was our waiter, we did the wine pairing as well. Servings were a bit small, but delicious! Great first time visit during restaurant week. Everyone was welcoming and eager to introduce us to all that the restaurant had to offer. Two for one Happy Hour with creative cocktails and oysters. Sam the bartender was knowledgeable and happy to educate us on Australian customs and tastes. Our waiter Mark paired our 3 course meals with a wonderful assortment of red and white wines, and was super-friendly. Very good food, nice variety. 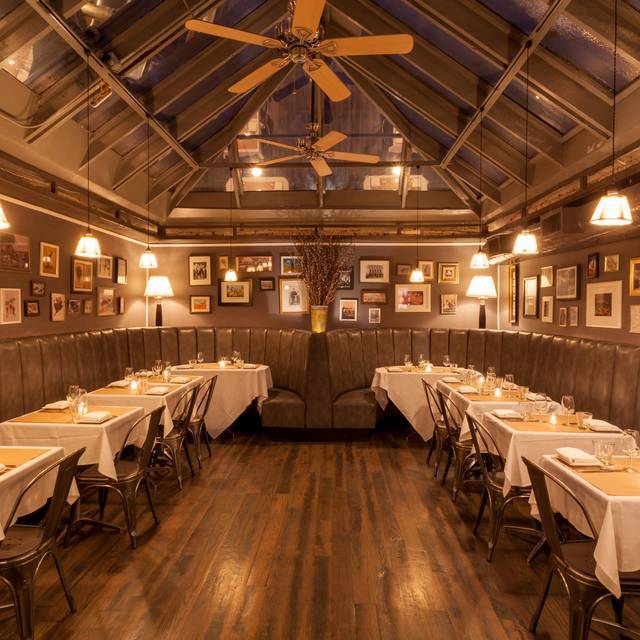 Best of all, the ambiance is really terrific, and very unexpected in the heart of NYC. Cozy, spacious, easy to talk with each other at your table. I would highly recommend giving them a try.